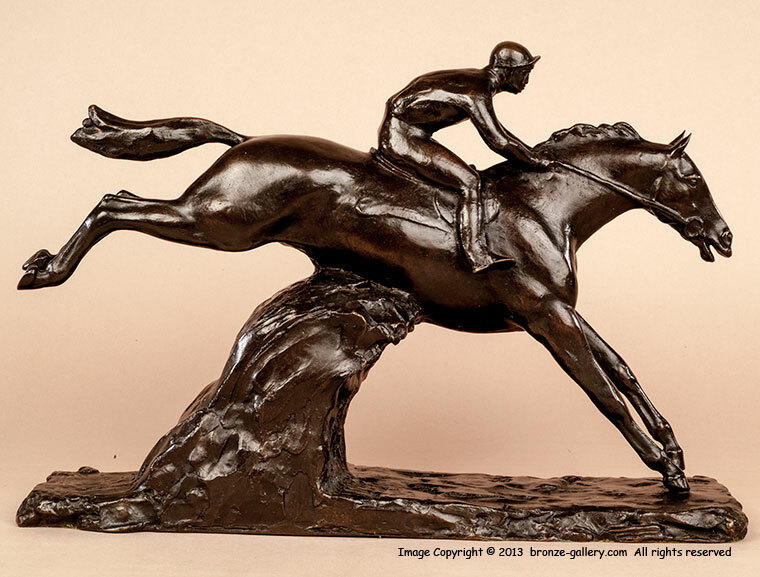 John Skeaping was a fine English sculptor who is best known for his many equestrian bronzes. He did portraits in the 1970s of famous race horses of the day, including Mill Reef, Secretariat, Hyperion, Brigadier Gerard, and others. This fine bronze shows a Steeplechaser going over a jump, it is full of action. The rider shows good form and the horse has cleared the jump and is headed for the next one. 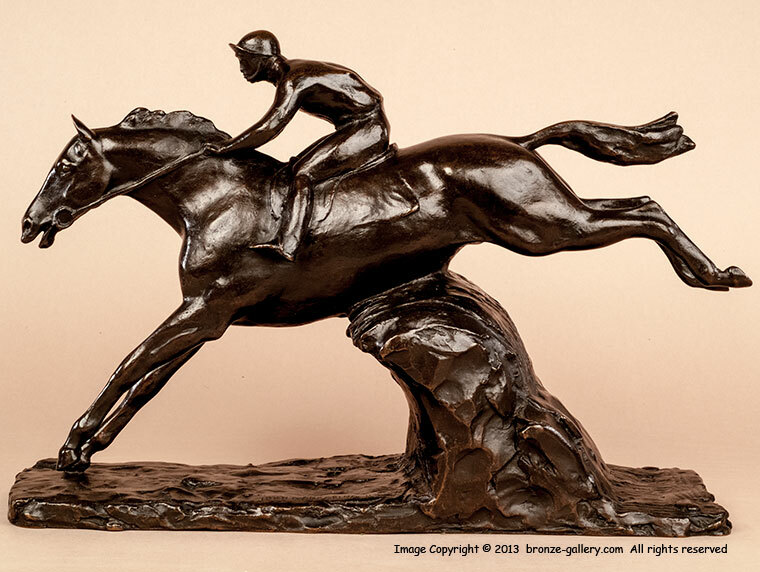 A rare model, this is cast number 1 of only 5 bronzes made, it has good details and a rich dark brown patina. A wonderful subject not often found in sculpture done by a master sculptor.